Security windows for the roof - Protect your loved ones! To date, dormer windows have become an indispensable element of modern buildings. They open up new possibilities in architecture and interior design. Dormers FAKRO allow to convert the attic into living space, providing excellent coverage and all-weather ventilation. They are widely used in modern architecture is the reconstruction of old attics, as well as new construction of residential houses, office buildings and shopping centers. In the attic you can arrange a children's room, studio, study, office or even the bathroom. Construction or repair of buildings need not only financial costs, but also thought-out actions and make informed decisions. The customer, architects, builders may need help at any stage of the project. Experts of our company provide technical support and maintenance projects at all stages. 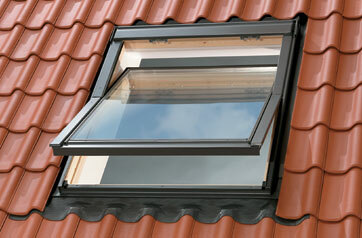 We provide assistance on the selection, installation and operation of roof windows. Employees will help you choose the optimum size and model of the window, depending on the type of premises and the interior, to determine how many boxes to buy and how to arrange the roof to maximize the coverage of the attic. For windows, roof FAKRO only used the most modern, environmentally friendly raw materials, which, together with the latest technology and engineering provides a unique performance of windows FAKRO.